Note:The engine is timed top-dead center exhaust stroke. Ensure the intake camshaft notch is in the 10-o'clock position-(2) and the exhaustcamshaft notch is in the 7-o'clock position-(1). The number 1-piston should be attop dead center-(TDC), crankshaft key at 12-o'clock. 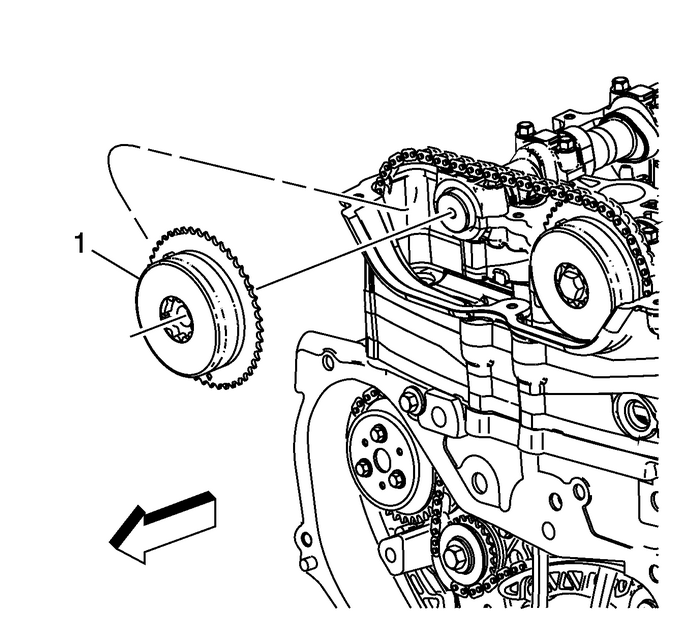 Install a friction washer-(1), if equipped.Install the timing chain drive sprocket-(3) to the crankshaft with the timing mark-(2)in the 5-o'clock position and the front of the sprocket facing out. 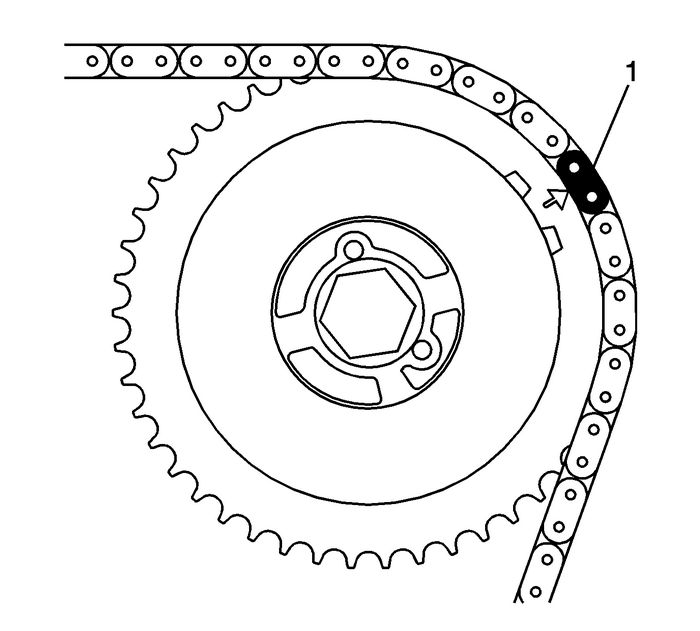 Note:The outer spacer/washer-(1) is in between the crank/balancer pulley and the lowertiming gear and may remain in place when the pulley is removed. The spacer/washer-(1)has a dot/mark on its surface that may be mistaken for the lower timing mark, andblocks the proper timing mark on the gear from view. The outer spacer/washer-(1) mustbe removed when timing the engine in order to view the correcttiming mark on the lower crank gear. Install a second friction washer-(1), if equipped. Note:There are three colored links on the timing chain. Two links are of matching color,and one link is of a unique color. Use the following procedure to line up the linkswith the actuators. Orient the chain so that the colored links are visible. Assemble the intake camshaft actuator into the timing chain with the timing mark linedup with the uniquely colored link-(1). 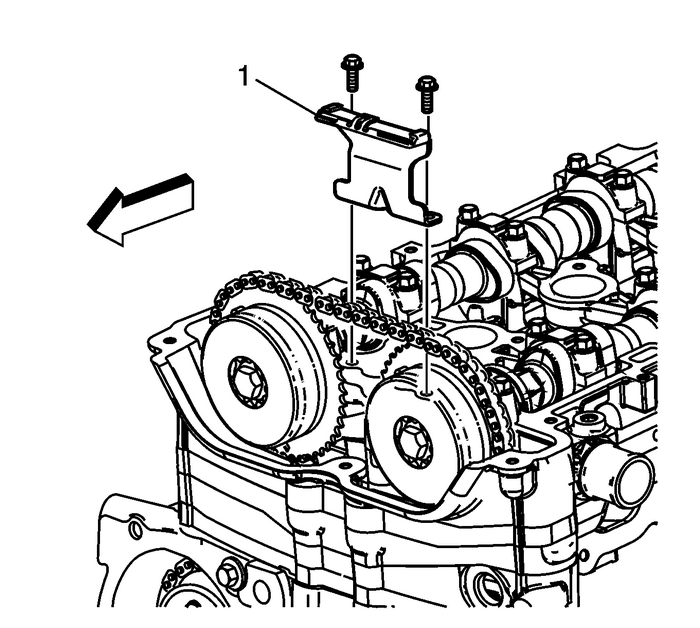 Lower the timing chain through the opening in the cylinder head. 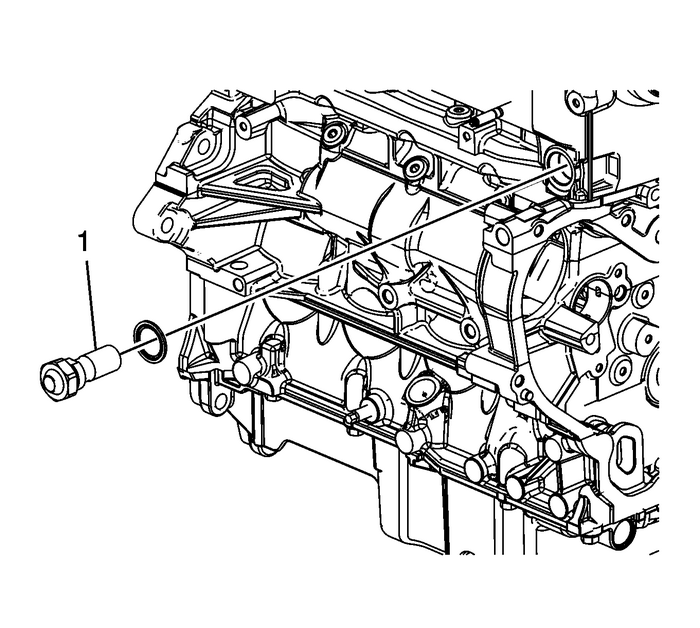 Use care to ensurethat the chain goes around both sides of the cylinder block bosses-(1, 2).Install the intake camshaft actuator onto the intake camshaft while aligning the dowelpin into the camshaft slot. Note:Always use NEW actuator bolts. Hand tighten the new intake camshaft actuator bolt. 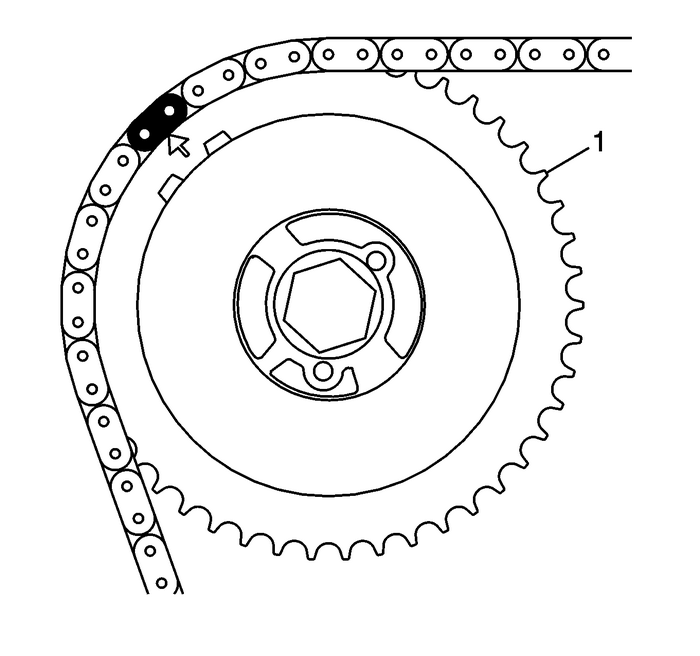 Route the timing chain around the crankshaft sprocket and line up the first matchingcolored link-(1) with the timing mark on the crankshaft sprocket, in approximatelythe 5-o'clock position. 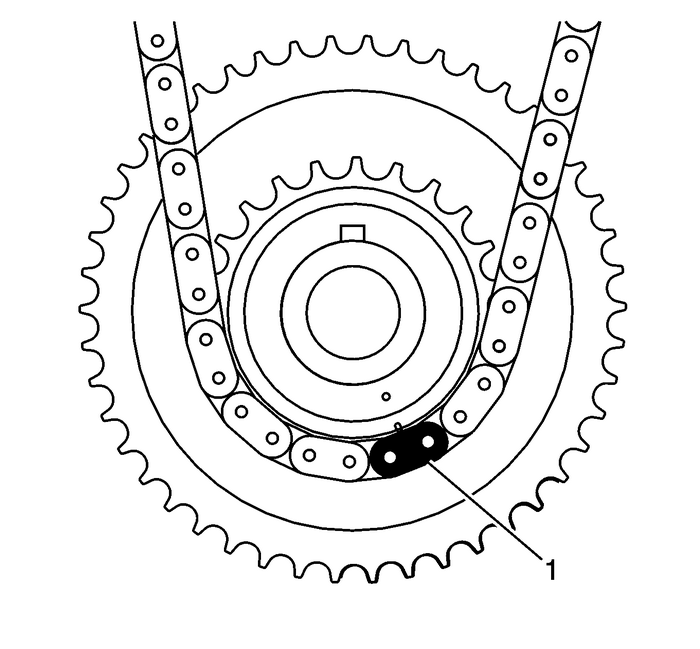 Rotate the crankshaft clockwise to remove all chain slack. Do not rotate the intakecamshaft. 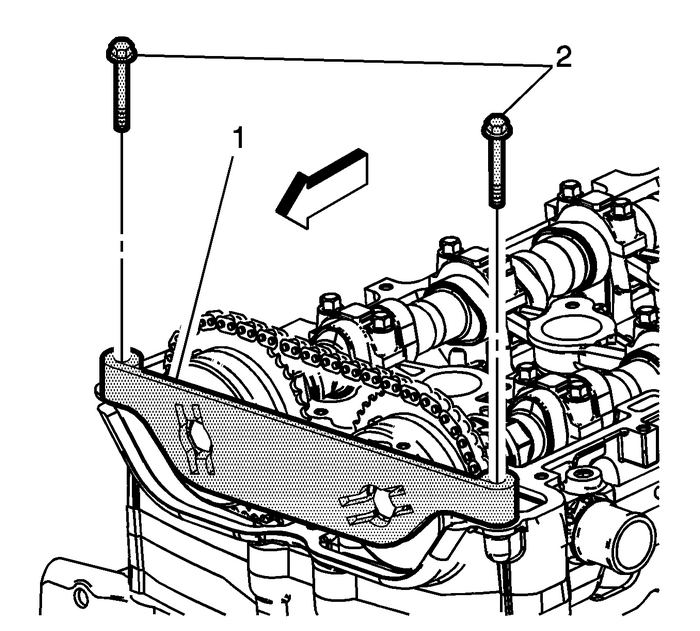 Install the adjustable timing chain guide-(1) down through the opening in the cylinderhead and install the adjustable timing chain bolt and tighten to 10-Y -(89-lb-in). Install the exhaust camshaft actuator-(1) into the timing chain with the timing marklined up with the second matching colored link. Note:Always install NEW actuator bolts. 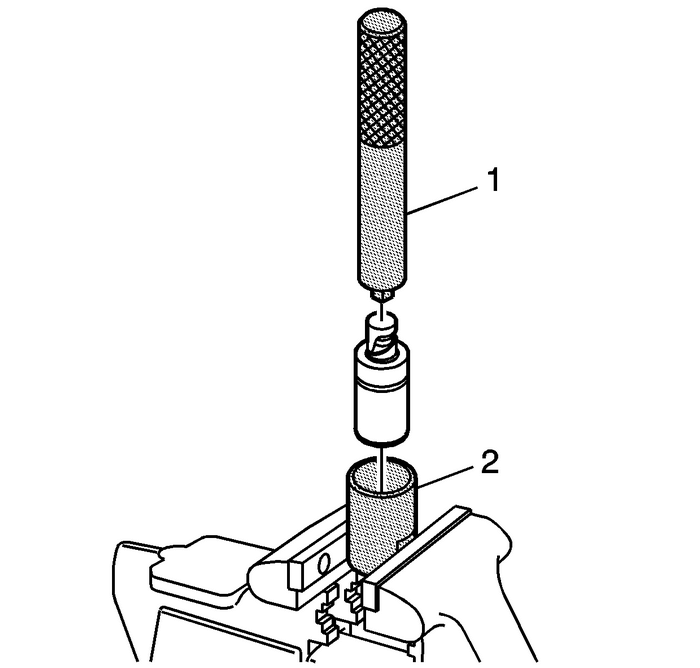 Install the exhaust camshaft actuator-(1) onto the exhaust camshaft, aligning thedowel pin into the camshaft slot.Using a 23–24-mm open end wrench, rotate the exhaust camshaft clockwise until thedowel pin in the camshaft actuator goes into the camshaft slot. 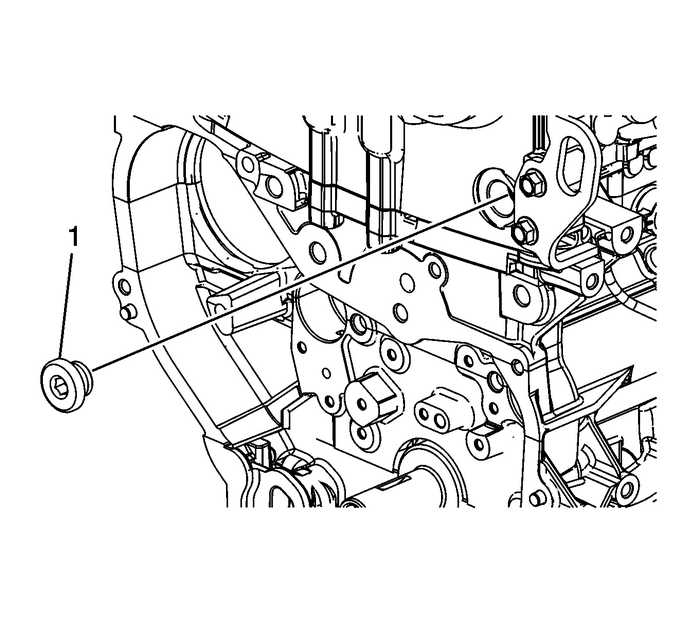 When the actuator-(1) seats on the cam, tighten the new exhaust camshaft actuatorbolt hand tight.Verify that all of the colored links and the appropriate timing marks are still aligned.If they are not, repeat the portion of the procedure necessary to align the timingmarks. Install the fixed timing chain guide-(1) and bolts and tighten to 12-Y -(106-lb-in). Install the upper timing chain guide-(1) and bolts and tighten to 10-Y -(89-lb-in). 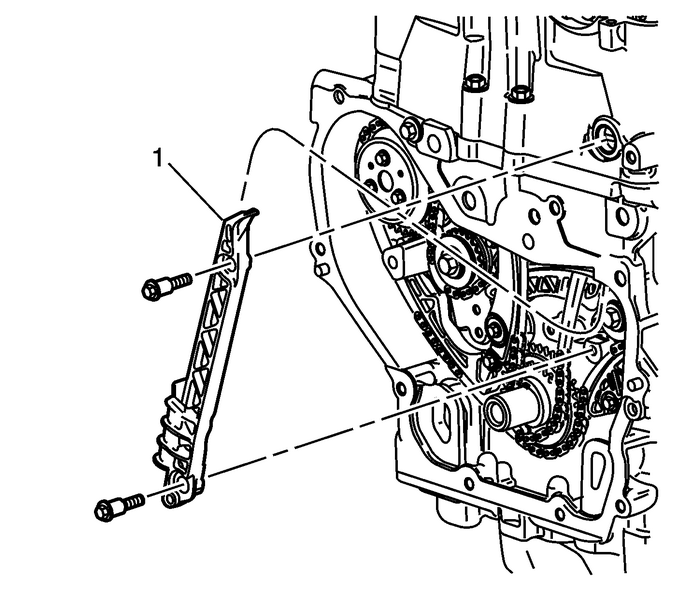 Reset the timing chain tensioner by performing the following steps:Remove the snap ring.Remove the piston assembly from the body of the timing chain tensioner.Install the EN-45027–2 -(2) tensioner into a vise.Install the notch end of the piston assembly into the EN-45027–2 -(2) tensioner.Using the EN-45027–1-(1) tensioner, turn the ratchet cylinder into the piston.Reinstall the piston assembly into the body of the tensioner.Install the snap ring. 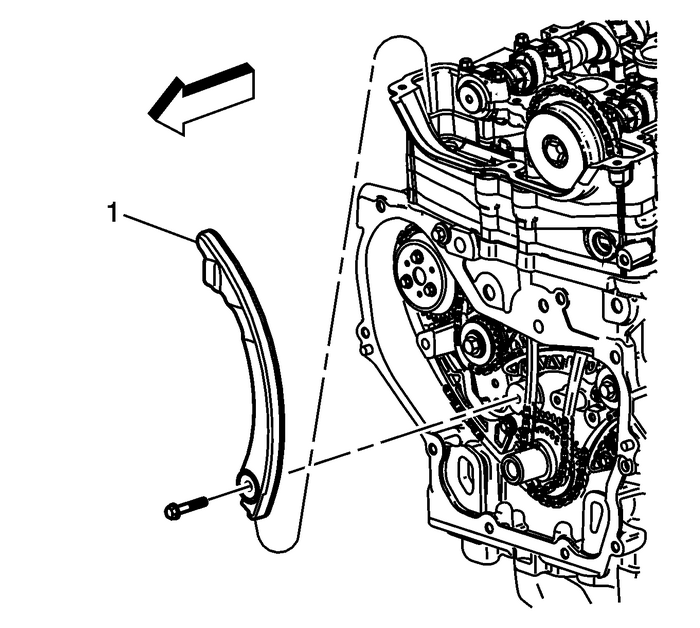 Inspect the timing chain tensioner seal for damage. 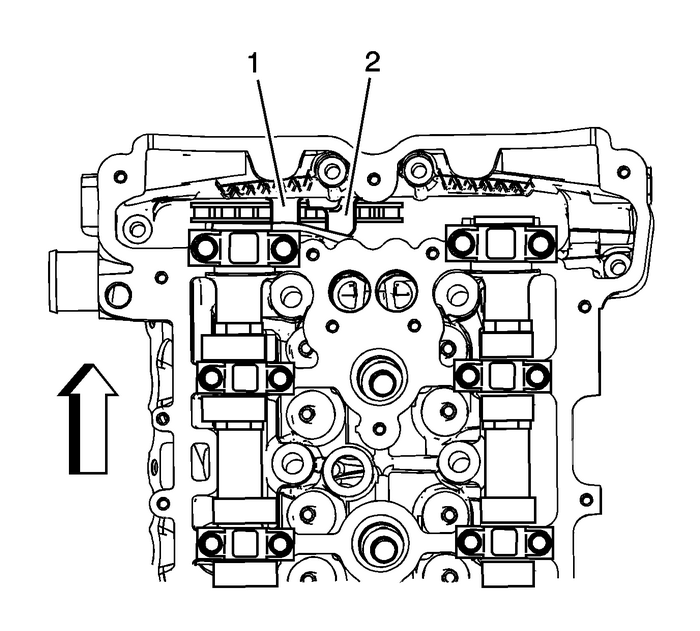 If damaged, replace the seal.Inspect to ensure all dirt and debris is removed from the timing chain tensioner threadedhole in the cylinder head. 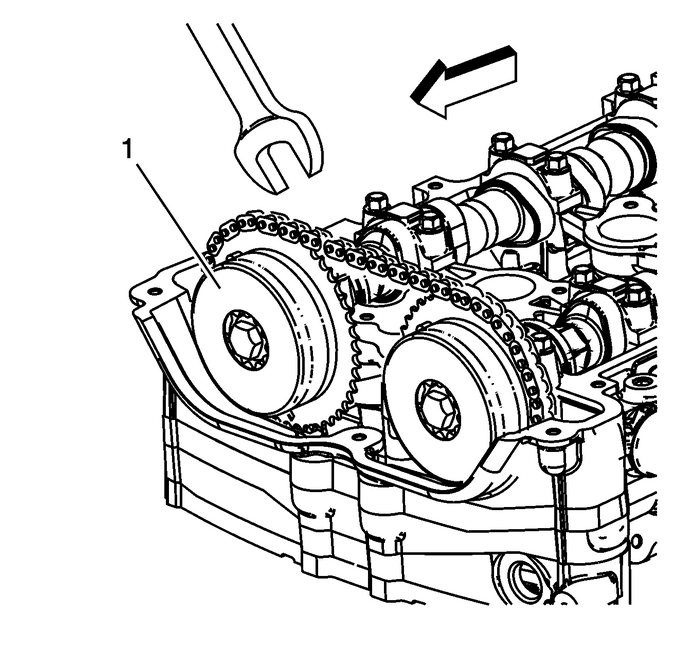 Note:Ensure the timing chain tensioner seal is centered throughout the torque procedureto eliminate the possibility of an oil leak. 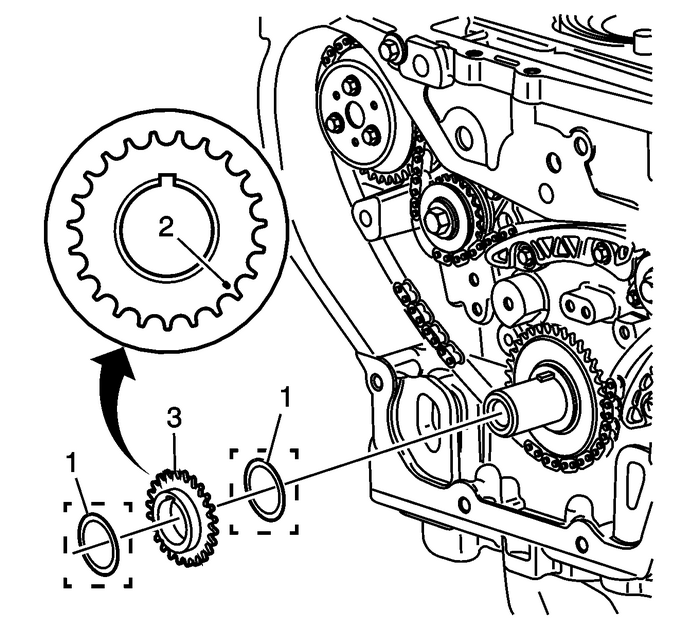 Install the timing chain tensioner assembly-(1) and tighten to 75-Y- (55-lb-ft). Note:The timing chain tensioner is released by compressing it 2-mm (0.079-in), which willrelease the locking mechanism in the ratchet. 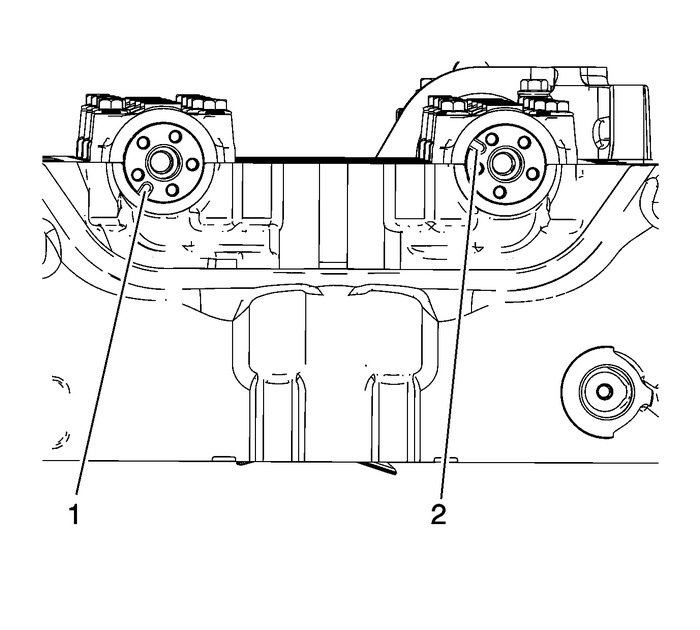 The crankshaft balancer must be installed in order to release the tensioner. RefertoCrankshaft Balancer Installation. Install EN-48953 locking tool-(1) and tighten the bolts into the cylinder head to 10-Y (89-lb-in).Using a torque wrench, tighten the intake camshaft actuator bolt to 30-Y-(22-lb-ft), plus 100 degrees using the EN 45059 meter.Using a torque wrench, tighten the exhaust camshaft actuator bolt to 30-Y-(22-lb-ft), plus 100 degrees using the EN 45059 meter.Remove EN-48953 locking tool. Install the timing chain oiling nozzle-(1) and tighten the bolt to 10-Y-(89-lb-in). 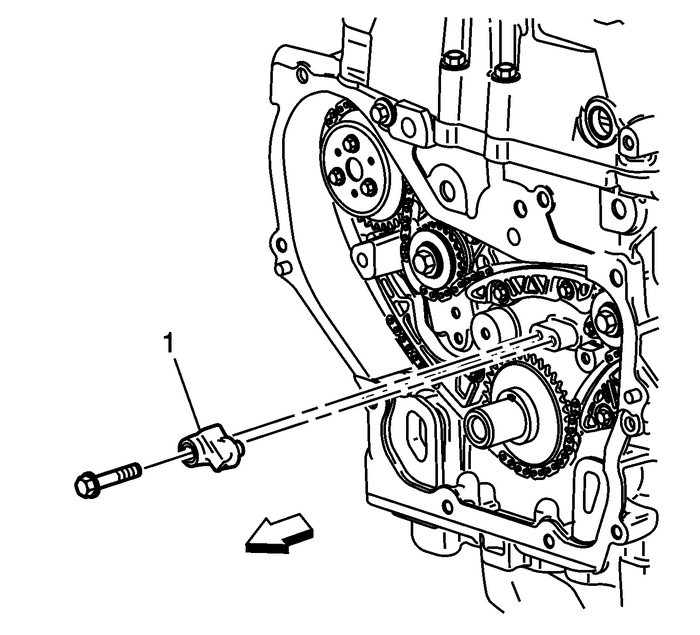 Apply sealant to the thread of the timing chain guide bolt access hole plug. RefertoAdhesives, Fluids, Lubricants, and Sealers.Install the timing chain guide bolt access hole plug-(1) and tighten to 75-Y (55-lb-ft).